InfinID's software suite idWorx! is a completely integrated .NET solution for all RFID and UID DoD mandates, including automated electronic WAWF and UID registry submission. idWorx! provides a cost effective "out-of-the-box" solution to mandate compliance without the need for expensive middleware or professional services. idWorx! is intuitive, powerful, complete, and modular. idWorx! has powerful enterprise ready features! Segmented Administrator/Operator functionality offers complete control for administrators, while maintaining a streamlined workflow for operators. This allows many different users within the enterprise to collaborate effectively at all stages of the UID and RFID marking and labeling process. idWorx! has powerful enterprise ready features! All data is stored in Microsoft SQL Server, an enterprise class relational database.Powerful wizards for intelligent serial numbering, and RF product analysis are included. Full reports are available and exportable in Excel, Word, and PDF. Custom reports can be easily developed using Crystal Reports. idWorx! is a complete comprehensive "Workflow Oriented" solution to UID labeling and RFID tagging for both suppliers and distributors. idWorx! is also modular! Choose only the modules you need for your application, and add modules as new mandates come on-stream. Enterprise Base Application Each Enterprise Base installation may have an unlimited number of user PC installations to allow widespread access to UID and RFID data throughout the organization. idWorx! scales from the single-user supplier up to the enterprise class contractor with multiple facilities and sub-contractors. DoD UID � Built for shipments that need UID associations. Allows for submittal to UID Registry and WAWFDepartment of Defense RFID (includes WAWF functionality). DoD RFID � This module is used for shipments that need RFID and/or UID data associations. Allows submittal to UID Registry and WAWF. The AssetWorx! suite of software has been developed to run on the .NET software platform. Its modern architecture allows for integration with a wide variety of ODBC compliant databases, XML and SOAP-based web services, business processes and ERP (Enterprise Resource Planning) systems. AssetWorx! 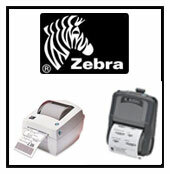 tracks assets using either RFID tags or barcodes or both. Inventory can be taken five times faster when using RFID tags compared to traditional barcode methods. AssetWorx! solution provides over 40 reports for management of your assets. New reports can be easily added using Crystal Reports. AssetWorx! supports lean manufacturing by avoiding re-purchase of expensive test equipment, software licenses and/or material and components. AssetWorx! improves employee productivity by eliminating searches for missing or infrequently used items. AssetWorx! supports real-time location capabilities using a system of active tags. These tags are constantly broadcasting and have a range of approximately 300 feet to local portals. AssetWorx! supports near real-time location capabilities using a system of passive tags and building portals. During audits, these passive tags can be rapidly scanned by the mobile handheld reader from up to 20 feet away without any line-of-sight contact. AssetWorx! can reduce or eliminate shrinkage of expensive tools and equipment. AssetWorx! has been designed to integrate with your existing ERP and accounting systems. These systems may include AssetWorx! Asset Tracking Database, Numara Track-It �, WASP MobileAsset �, BMC Remedy� and Microsoft Dynamics GP�. Other interfaces are available on request. AssetWorx! can generate alarms when assets go missing allowing for rapid management responses in these situations.